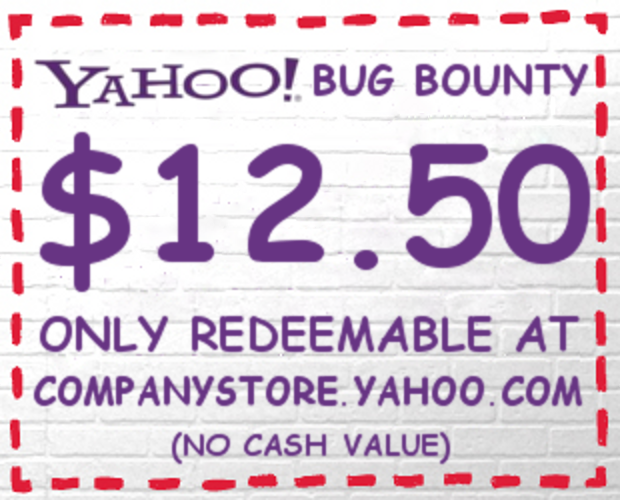 no one is going to report bugs with such a ridiculous incentive. 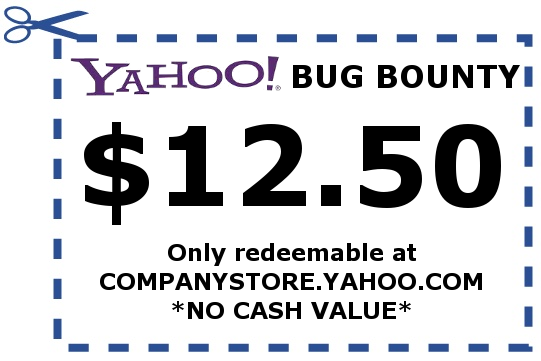 they might as well be handing out monopoly money. 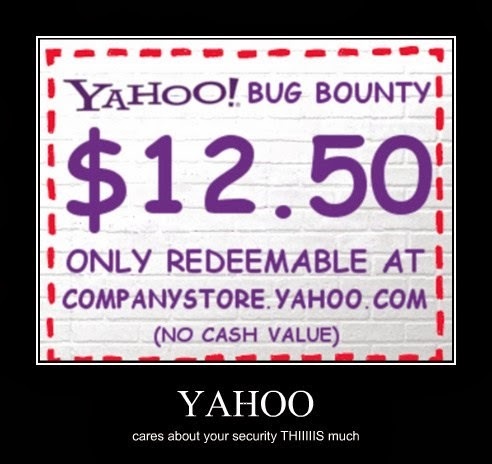 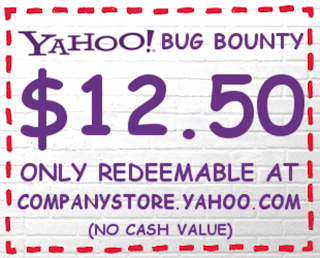 when i read on graham cluley's blog that yahoo was offering bug bounties that were barely more than funny money, i just KNEW i had to mock them. 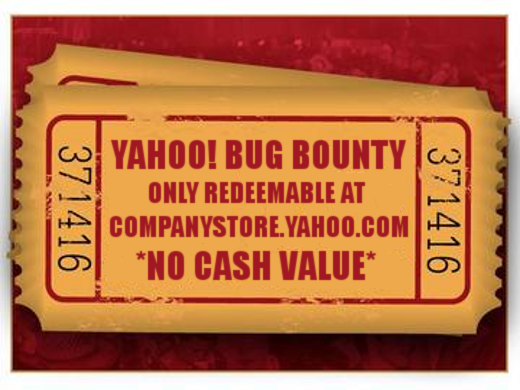 my first thought was drink tickets.